One of my favorite things about living in San Francisco is how easy it is to spend time outside. With minimal planning and a short drive, there are countless places to explore in a day or even to camp over a weekend. Heading across the Golden Gate Bridge into Marin is a simple go-to that my wife, friends, and I do for a quick getaway from town. I especially enjoy the area in early spring before heavy fog sets in later in May; the grass is still green and vibrant, and the California poppies are in bloom. If you're looking for a fun way to spend two days outside of the city, keep reading for my suggestions. To get the most out of a Marin run, keep an eye out for a clear, fog-free couple of days, and try to get out early in the morning. There are a few good webcam and radar resources to use to check fog conditions, but this is the one I use for Mount Tam. Even on a foggy day in the city, Mount Tam may be above the clouds, which can make for an incredibly serene experience. 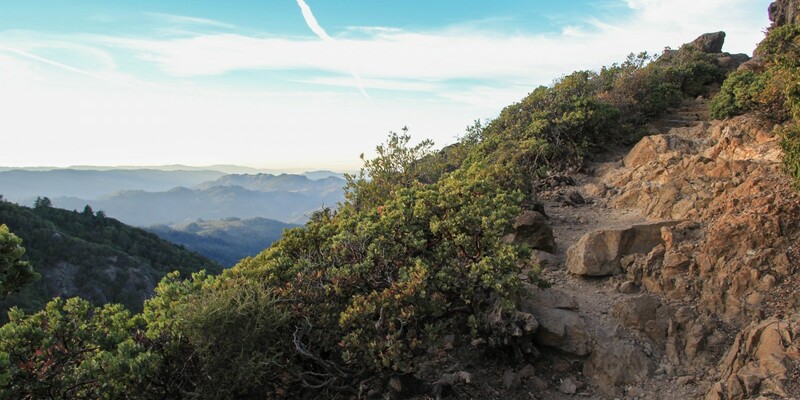 Head out for the quick drive to Mount Tamalpais State Park. A good hike to start on to get the blood flowing is the Steep Ravine to Dipsea Trail Loop that starts near Pantoll Ranger Station. This hike leads through a diversity of beautiful scenic and vegetated landscapes. I recommend starting out on the Dipsea Portion of the loop heading downhill, traversing across and down Mount Tam's western slopes above the great blue Pacific (one reason to aim for a clear day). Once you near the bottom of the loop it's just a short walk to Stinson Beach. Returning back by way of the Steep Ravine Trail, following Webb's Creek up through fern-filled gullies and under a canopy of redwood trees, makes for a beautiful loop. Back at Pantoll, it's a short drive to the summit of East Peak, the top of Mount Tamalpais. From here, you'll have some of the best Bay Area views that you can get. At sunset, the colors are even more beautiful. 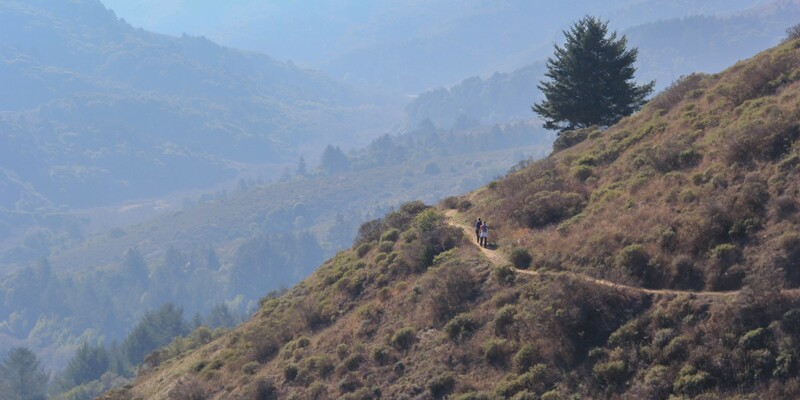 Hikers in Mount Tamalpais State Park. 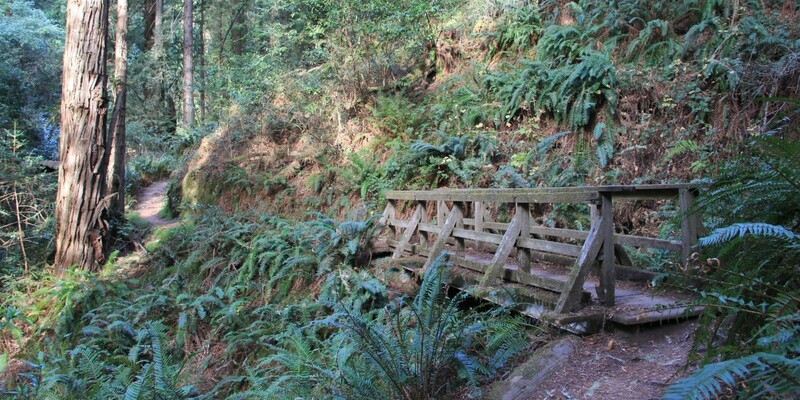 A bridge crossing on the Steep Ravine Trail. The trail to East Peak's summit. Alternate hiking options for the day include the Coastal Trail, Muir Woods, Muir Woods via Deer Park Fire Road or Point Bonita. The Point Bonita Lighthouse is accessible Saturday through Monday, but only from 12:30 p.m. to 3:30 p.m. I would also recommend avoiding Muir Woods on the weekends, unless you enjoy very crowded trails. If you are interested in sleeping in the woods, there are two campsites within Mount Tamalpais State Park that are just a short drive from East Peak. Bootjack Campground has 15 walk-in sites and is a quiet place to camp. 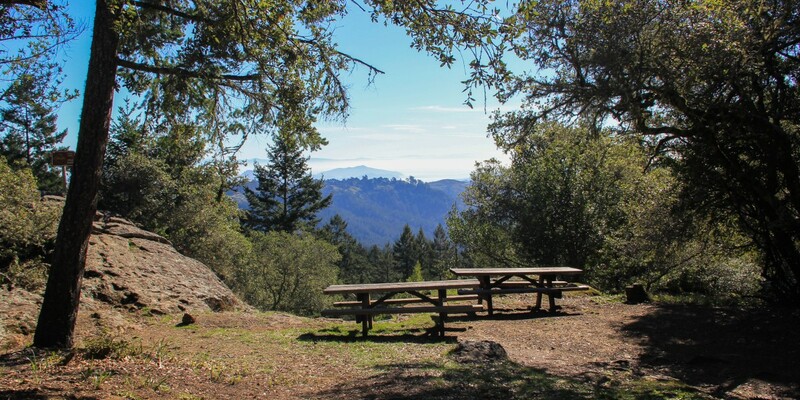 Nearby Pantoll Campground has 16 more sites, and has direct access to some of Mount Tam's best hiking trails, including the Steep Ravine to Dipsea Loop referenced above. From both campgrounds there are numerous places nearby to access great sunsets and night sky photography opportunities. Beautiful views from Bootjack Campground. An alternative to camping is to stay at one of the inns on the way to Point Reyes from Mount Tam. In the small hamlet of Olema, along Highway 1, there are three fantastic places. The Bear Valley Inn Bed and Breakfast dates to 1910 and has been meticulously maintained. The Point Reyes Seashore Lodge is more modern and features 22 rooms and two cottages that adjoin Point Reyes National Seashore. And if you are looking for a more lavish, luxurious escape, Olema Druids Hall Bed and Breakfast is just the place. Day 1 was all about forests and coastal mountain and Bay Area views. 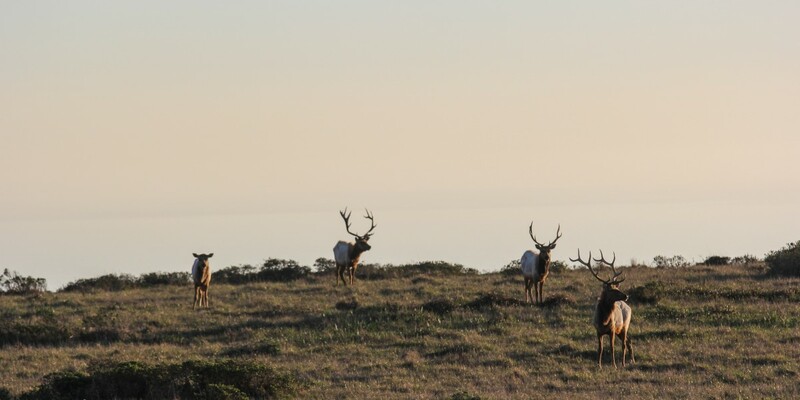 Day 2 is the day for the ocean and wildlife viewing, and Point Reyes National Seashore is just the place. There are a multitude of wonderful places to explore on Point Reyes, but I have my favorites. 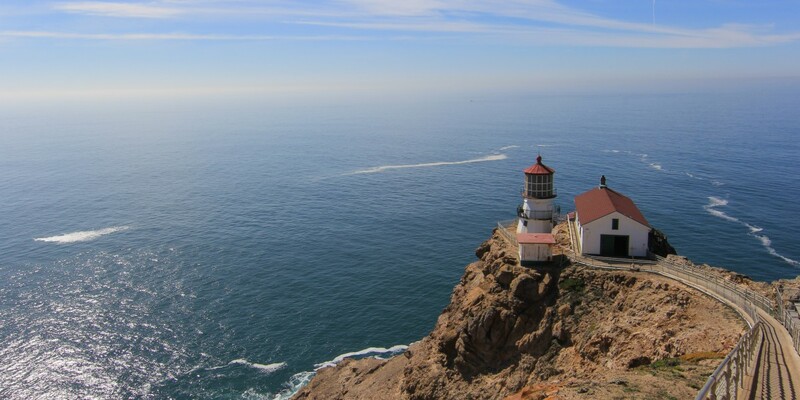 The Point Reyes Lighthouse sits at the tip of the peninsula, 10 miles out to sea. It's perched on a cliff 250 feet above the Pacific Ocean. This is a place you definitely want to visit on a clear day to be able to see the picturesque Point Reyes Coastline, so pay extra close attention to the webcams and fog radar mentioned above. The lighthouse itself is open to visitors but hours change seasonally so check here for current information. 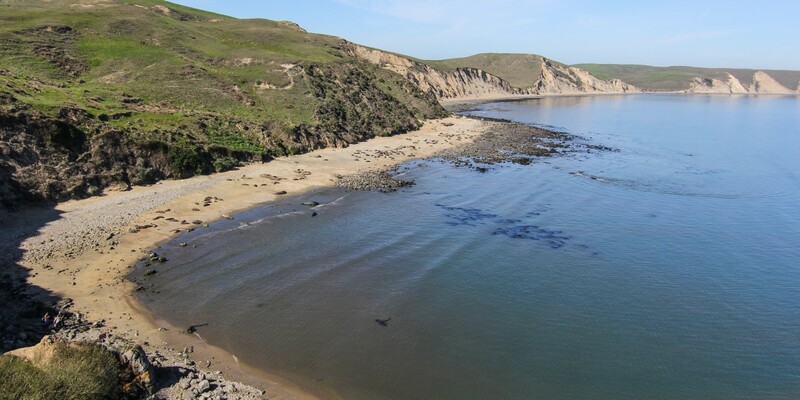 McClures Beach, and you'll likely get to see the tule elk that inhabit the area. Nearby Kehoe Beach is another favorite for the spring wildflowers and expansive views. Tule elk at McClures Beach trailhead. 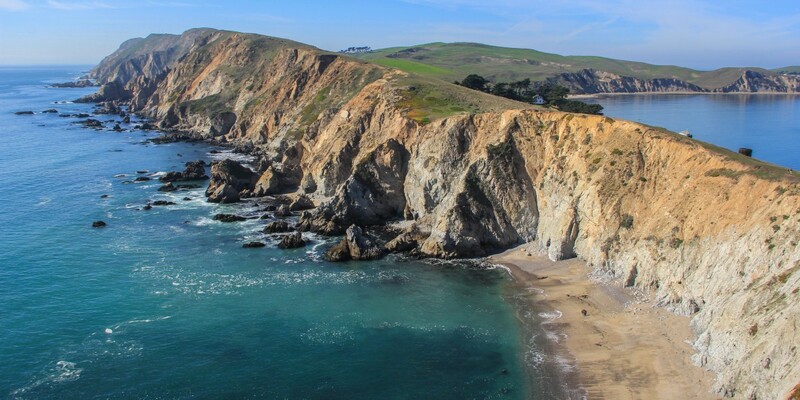 If the fog and wind roll in and make a trip to the ocean side of Point Reyes a less exciting proposition, consider visiting Tomales Bay State Park instead. Tomales Bay was formed by the San Andreas Fault and creates a 12-mile-long inlet that separates Point Reyes Peninsula from the California mainland. During windy and foggy conditions, Tomales Bay is sheltered by Inverness Ridge, the high point on the peninsula. From Point Reyes it's only a little over an hour's drive back to San Francisco, so I like to stay out as late as I can, let the city traffic die down, and make the most of a quick escape adventure weekend. LOVE this post :) Those are all of my favorite areas!! That light house is so gorgeous. Last time we were @Point Reyes lighthouse there was a board listing that 09 whales has passed the last couple of weeks migrating to Baja to breed! I didn't even know you could hike around there and must do Chimney Rock next time! It was quite windy when we were there so we had our patagonia's on. People should also check out Marshall and the oyster farms in the area like Hog Island Oyster Co.